Not be confused with the waterfall of the same name in Teesdale, High Force is the higher of two superb waterfalls that are found in Force Gill on the slopes of Whernside. 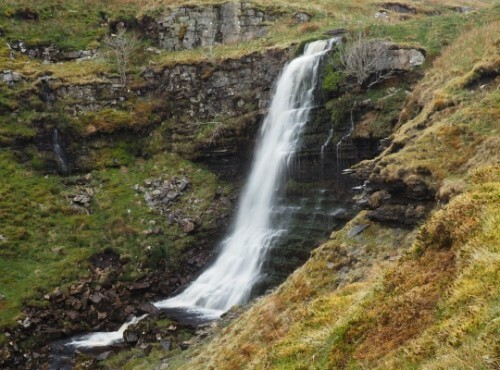 Neither waterfall is named on the OS Explorer or Landranger maps but if you zoom into the 1:2500 scale on the Ordnance Survey’s online maps the two waterfalls are clearly labelled. In his ‘Walks in Limestone Country’ Wainwright calls this particular waterfall ‘The Mare’s Tail’. Unlike Low Force further downstream, the High Force cannot be seen from the main path leading up on to Whernside. Situated only about 900ft from the path the vast majority of people ascending Whernside will do so completely unaware they have missed this fantastic cascade. 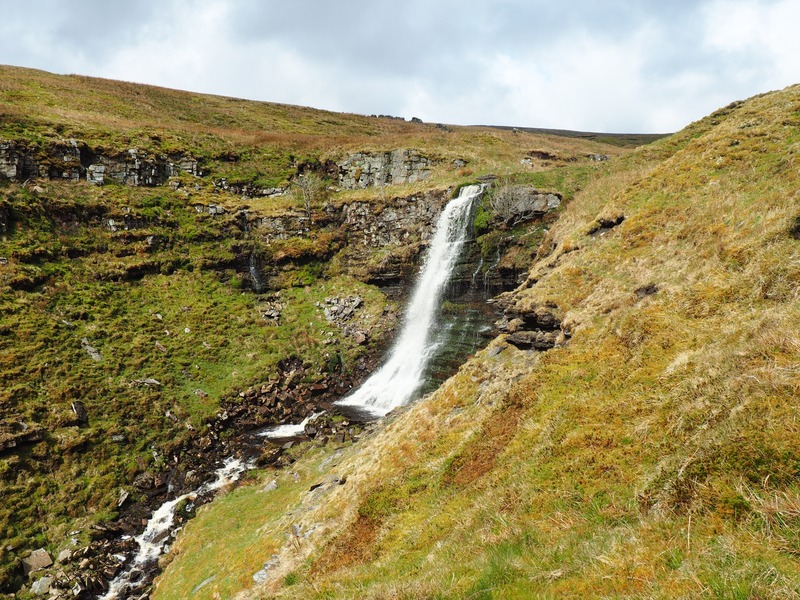 An ascent of Whernside via Force Gill (the name basically means ‘Waterfall Gill’) has the double advantage of getting a close up view of both waterfalls as well as avoiding the crowds taking the main route. Definitely recommended.